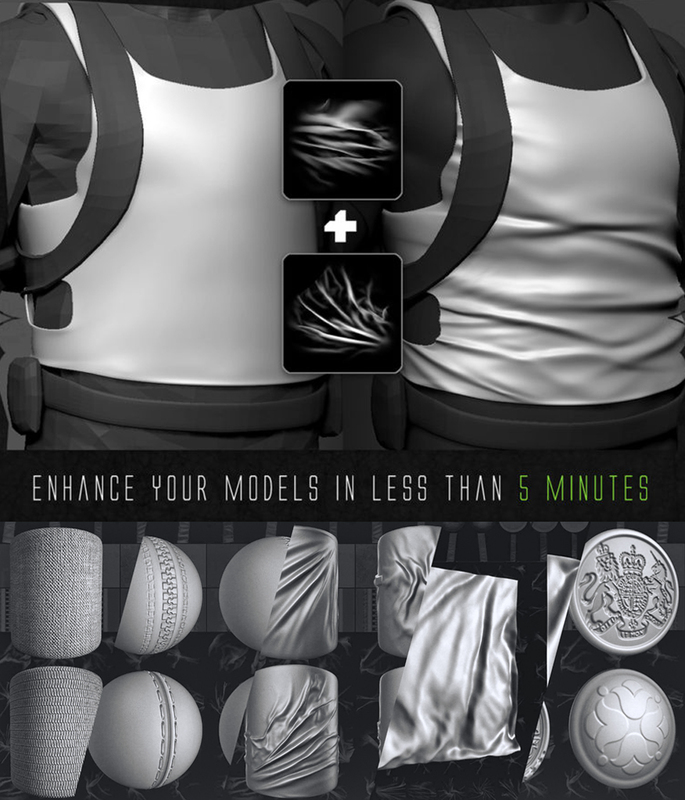 This is the ultimate cloth pack, which contains more than 150 really high quality alphas, designed specifically for cloth detailing, texturing and sculpting.The pack contains buttons, seamless textures, stitches, wrinkles and more goodies! Created for the people that want to take their creations to the next level – and improve their work. Includes 3 short tutorials (.pdf) on how to use the alphas + JR Stitch brush. Apparently Salefiles has a trojan, HTML/ScrInject. I have, what am I looking for? It was my ESET virus scanner that found and blocked it, actually. Please don't worry about a thing. Different antivirus engines give different results.